Not that we don't like the current WRX, but if this is to be the future of the line, you can count us emphatically "in". 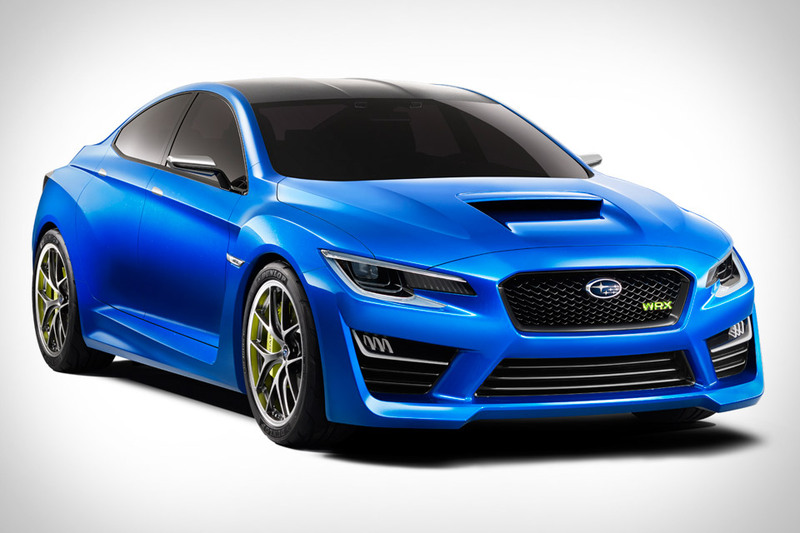 The Subaru WRX Concept ($TBA) has arrived to offer clues as to what the next-generation WRX might resemble, and the news is almost all good. Up front, you'll find an aggressive new front end, with a larger, bolder grille that sticks out to make room for the turbocharged engine and intercooler — but thankfully the iconic hood scoop remains. A carbon fiber roof and a lower, wider body extend to the rear, where you'll find a dramatically curved trunk lid that acts as a spoiler, as well as a large black rear diffuser set between quad tailpipes. The whole thing sets on BBS "RI-D" One Piece Forged Duralumin wheels, which may or not make it to the production version — if/when it ever appears.